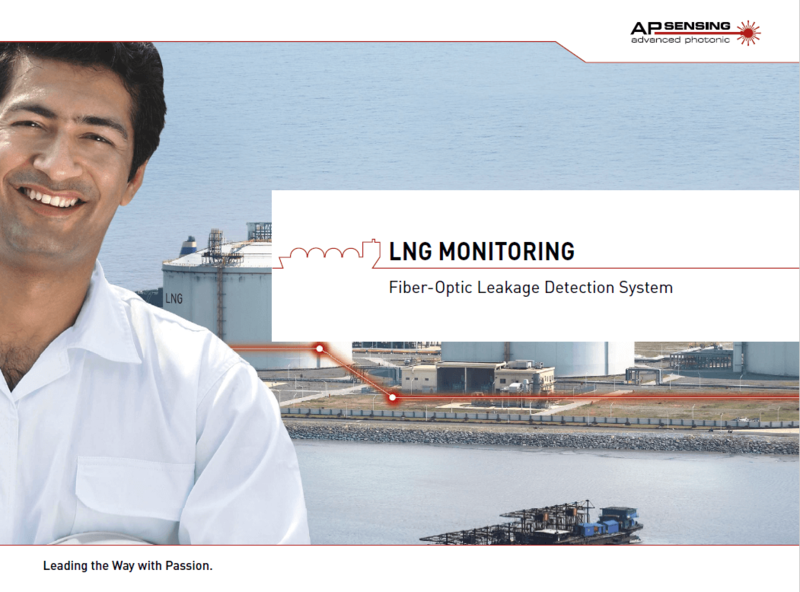 Fiber optic Distributed Temperature sensing (DTS) technology is recommended for spillage detection in LNG facilities in section 13.4 of EN 1473:2007-06. With our optical sensing probes our system is non-corrosive and intrinsically safe. It accurately measures the temperature over long distances every minute, and is suitable for operation in cryogenic conditions. We offer the best measurement performance with no drift, a low-power laser for safe use, a long product life (MTBF is 33 years) and sensor cables to fit your needs (operating ranges from -196 °C to +300 °C). Our sophisticated SmartVision™ software features asset visualization and alarm management with a central database and reporting and analysis capabilities. AP Sensing is your long-term partner and offers world-class support for the design, installation and commissioning and project management phases. This includes through-life and hotline support, maintenance and training.  AP Sensing's support team has been a fantastic resource for us over the years. They have helped us with system development and implementation planning, and they are always quick to respond to our technical queries with competent advice and helpful tips. For me AP Sensing is the forerunner for distributed optical temperature sensing. You can see in their solutions a combination of experience and creativity -- an intuitive design that works just as you'd expect, yet they aren't afraid to think out of the box, or provide a customized solution. They carry on their HP/Agilent heritage and continue to develop and advance, while remaining true to their core values of quality and reliability. When I think of AP Sensing the first thing I think of is reliability. We completely trust and rely on their performance specifications and I know that their technical support team is dedicated and passionate about solving any problems that might come up. Knowing the technology and market, it is evident to me that AP Sensing is the forerunner in distributed optical sensing. Their solutions reflect a combination of experience and creativity. Experience comes from their HP/Agilent heritage, the leader in test and measurement equipment, with decades of experience in developing and manufacturing extremely reliable and high quality products. The creativity comes from their passion and commitment to solving real customer problems. When you do business with AP Sensing you get the feeling that you are working together as partners, because they listen to you and understand the challenges of your day-to-day operations. Communication with AP Sensing is always professional and it's obvious that they have the experience and the technical know-how to answer our queries. AP Sensing's DTS is simply the best fit. We apply it together with ConveySafe in our coal power plants to protect our conveyors. The systems are rugged and completely reliable, need very little power, and can be seamlessly integrated into customer SCADA environments. Best of all, you don't just buy a box from them and that's it -- their post-sales support is outstanding. The SIL-2 (Safety Integrity Level) rating that AP Sensing has achieved on its DTS gives us the confidence that their solution is going to work as planned, day in and day out, in high-risk environments. 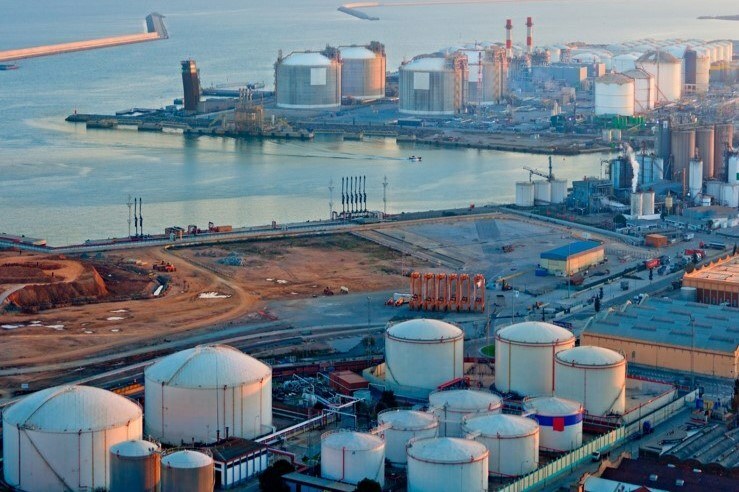 Our LNG terminal operators sleep better at night knowing that our assets are protected and security standards are met. My AP Sensing regional customer support is fantastic: competent, thorough and quick to get back to me. They have been a key player in our complex pipeline projects over the years, and they truly offer through-life product support, from installation and commissioning to training. Why you should choose AP Sensing! Fiber-optic distributed optical sensing technology …accurate, continuous and continual leak detection and temperature measurement. Robust passive sensor cables with specially coated fibers …safe operation and quick detection; suitable for cryogenic temperatures. SIL and ATEX-approved safety solution ...form an integral part of plant's DCS systems. Accurate temperature measurement in a wide measurement range …precise cool-down monitoring and energy saving control of base slab heating systems. Comprehensive software solutions ...SmartVision™ for asset visualization, alarming, analyzing reporting and integration. We have hundreds of satisfied customers worldwide! Need a password for the Customer Portal?